If you've been riding a motorcycle for any length of time, you've probably had a few close calls. Drivers of passenger vehicles and tractor trailers just don't see bikers. How many times has another driver changed lanes without looking, forcing you to take evasive action? How many times have other drivers made a left turn right in front of you? How many times have you heard the skidding of tires behind you when stopped at a light, and wondered, "Is this it?" Unfortunately, it seems to be more dangerous to ride a motorcycle these days, and it's most likely due to distracted driving. Too many drivers are looking at their phones instead of paying attention to the road, and they're putting bikers’ lives in grave danger. If you have been injured in an accident while riding a motorcycle, you may be able to pursue compensation for your injuries and losses. To secure the settlement you deserve, you will need the representation of a top Phoenix motorcycle accident attorney. The legal team at Breyer Law Offices, P.C., has been successfully representing Arizona injury victims for over 20 years. Let us put our decades of experience behind your claim by calling (602) 267-1280 for a free consultation. Phoenix residents are no longer just using motorcycles to hit the highway. Many locals are riding as part of their daily commute. Also, motorcycles are relatively inexpensive when compared to larger passenger vehicles. However, motorcycles are more vulnerable to dangerous roadway conditions, are difficult to maneuver, and provide no protection to riders in the event of a collision. You enjoy riding, but you also take it seriously. You work at being a good driver because your life depends on it. Unfortunately, drivers of passenger vehicles don't have the same relationship with their cars. Most of them don't love to drive; they drive to get someplace, run some errands, or drop the kids off at school. And being a good driver isn't all that important to them: they've got seat belts, airbags, crumple zones, and a big steel shell surrounding them. Motorcycle riders have none of that. I was riding my motorcycle & a man backed out of a driveway & ran me over. Four months later, I lost my leg. Mark Breyer made a great difference in my life. A "wrongful death" is when a driver who is violating the law or behaving in a careless manner kills a motorcyclist. Victims' families face significant emotional and financial burdens in the aftermath of a fatal motorcycle crash. These family members, who may include a spouse, children, siblings, parents, or anyone else who was financially dependent on the victim, often have the option to offset these costs with a wrongful death claim. A successful wrongful death claim can result in financial support for losses such as the medical bills incurred before the victim died, his or her funeral expenses, future income, and pain and suffering. While a criminal case can punish a wrongdoer, it does not provide any type of monetary compensation for struggling families. Who can be held liable for injuries resulting from a Phoenix motorcycle crash? If a car, truck, or other motorcycle drives me off the road and then flees, can I file a personal injury claim? Do I need an expert to testify in a motorcycle liability case? If I don't have motorcycle insurance, can I still make a personal injury claim? This is a crucial moment in the timeline of your case. Priority one is to seek medical care, especially if your injuries might be subtle or hard to detect. If you are able, you also want to collect important information from the scene. This can include anything from the other drivers' information to observations about time, place, road conditions, and any obstacles that may have played a role in the accident. In the days ahead, be assiduous about assembling documentation from other sources, including police reports, medical records, and any correspondence that occurs with insurance carriers. Anyone operating a vehicle that was involved in the accident could possibly be held liable. In addition, insurance companies, pedestrians, or public entities responsible for maintaining roadways could also possibly be held liable. If a car, truck, or other motorcycle drives my bike off the road and then flees, can I file a personal injury claim? Yes, this would be considered a hit-and-run accident. In such cases, you have to file a claim through your motorcycle insurance company in order to receive compensation for medical care and related expenses. You may even file a motorcycle accident claim if a family member has the right coverage, or with your car insurance company. Well, it depends. In motorcycle accident cases that are straightforward and where liability is not contested, you may not need an expert. However, in more complicated cases, like those that may involve a manufacturing defect, you may require a forensic investigator to evaluate the evidence and provide expert testimony if your case goes to trial. Yes. Even if you don't have insurance, that doesn't mean you lose your right to hold a negligent party accountable for injuries you suffered. If you have been injured or lost a loved one in a motorcycle accident, you will need the representation of an experienced Phoenix injury lawyer. That's where The Husband and Wife Law Team at Breyer Law Offices, P.C., can help. Our goal is to provide compassionate legal representation to families who are facing these formidable challenges. We will remain on your side through what can be a complex process, fight for your rights every step of the way, and work diligently to ensure that you are fairly compensated. We want you to walk away properly compensated for your significant losses and medical coverage. Please contact us at (602) 267-1280 for a free and comprehensive case evaluation. 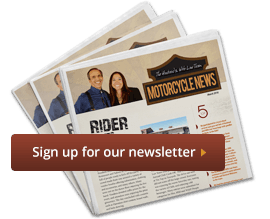 Phoenix Motorcycle Crash Lawyer Disclaimer: The legal information presented at this site should not be construed to be formal legal advice, nor the formation of a lawyer or attorney client relationship. Any results set forth herein are based upon the facts of that particular case and do not represent a promise or guarantee. Please contact a lawyer for a consultation on your particular legal matter. This web site is not intended to solicit clients for matters outside of the state of Arizona.